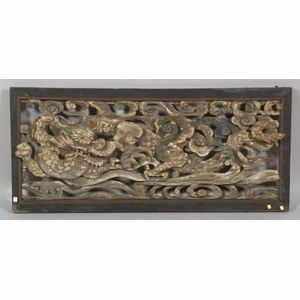 Ramma, Japan, 19th century, openwork carving of a dragon in the clouds, surface with traces of polychrome, lacquered frame, wd. 26, lg. 58 in.